Head count reductions? RIM would struggle to come up with more crass terminology for the spree of firings it has embarked on to compensate for years of mismanagement and stunted innovation. The ailing Canadian smartphone giant is starting to distribute P45s (or pink slips as they call them across the Atlantic) to over 2,000 employees as part of a drive to steady the fast-sinking ship. The company has been steadily trimming jobs in a bid to stay under the radar, but the efficiency drive is now in full effect and will reduce its global workforce to 14,500. That's down from 20,000 at the peak of its powers. Tenille Kennedy, a RIM spokesperson and survivor of the cull says: "RIM has committed to achieving significant efficiencies and operating cost reductions over the course of this fiscal year. "Headcount reductions are part of this initiative," she added, robotically. The redundancies come after RIM posted losses of $125m (£78m) at the end of March, with profits falling by one billion dollars compared to the corresponding period last year. 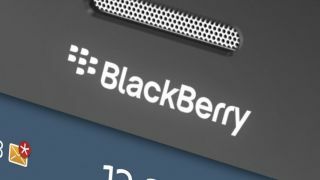 The company hopes that the efficiency measures and the forthcoming BlackBerry 10 operating system will help to revive its fortunes.